Triple Toro Launch At BTME: Reesink Turfcare brought visitors to BTME a Toro triple this year: three new launches – two on the machinery side and one for irrigation. 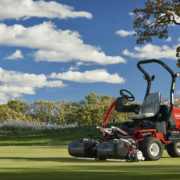 And all three reflected what Toro does best – innovation. 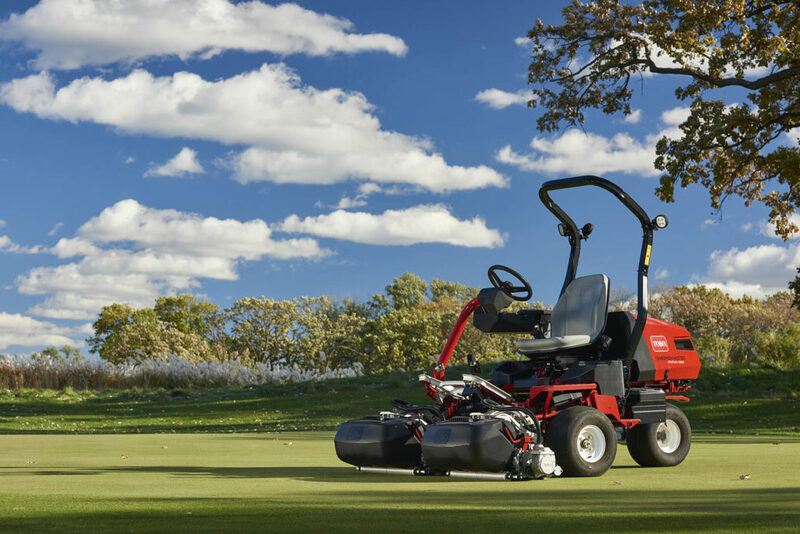 The eTriFlex is a classic example of Toro responding to customer demand by creating a machine which significantly reduces noise. The new hydraulics-free Greensmaster eTriFlex 3360 with lithium-ion battery cuts noise to deliver quiet, leak-free, clean cutting. This allows work to start earlier and may circumvent noise regulations. It will help avoid complaints from area residents and prevent having to delay mowing certain greens early in the morning or during the day. Plus, with greens ready earlier, it could enhance revenue by allowing earlier tee times. The new Greensmaster 1021 brings a new level of consistency to pedestrian mowing and takes all that was revolutionary, popular and legacy-making about the 1000 pedestrian mower and adds design improvements to make operation smoother, green-to-green cut more consistent and adjustment easier. The 21-inch mower features a new telescoping loop handle which can be easily adjusted to comfortably accommodate operators of all heights and skill levels and handle isolation mounts to give the cutting unit constant contact with the ground throughout the mowing process. Visitors to BTME were also given the first glimpse of Toro’s Lynx Smart Module and Smart Hub irrigation setup which provides the flexibility of a satellite controller with the cost savings of a two-wire system. Based on decades of engineering experience from Toro to deliver high speed diagnostics using rapid two-way communications, the Lynx Smart Module two-wire system is an adaptation on the already successful GDC control system. It’s a forwards and backwards compatible add-on tool which provides backup and operation should connection to the central control be interrupted so irrigation continues. It comes with attachments to expand the capabilities of the Lynx central control system to another level. The module makes irrigation smart – add it to a GDC system, for example, for extra precision and speed. Meanwhile, the pedestal or wall-mounted Smart Hub enables the system to be segmented into manageable areas by strategically placing up to nine Smart Hubs over the site for simplified maintenance.